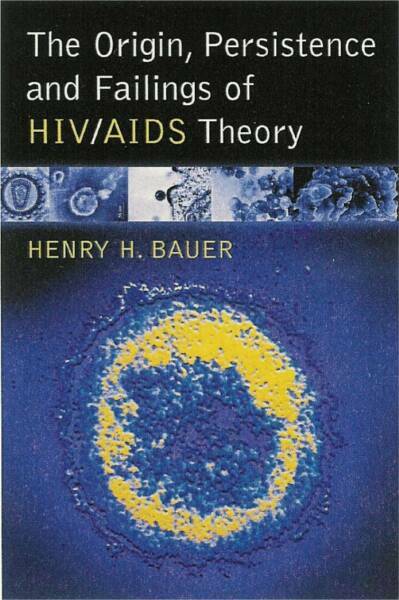 ”Above all, the sad and bitter fact is that truth-seeking does not have a political constituency, be it about HIV, AIDS, or anything else”. That sad state of affairs, the fragile foothold that demonstrable truth has in contemporary society, is owing to a number of factors, including that “Science is broken” and the effective hegemony of political correctness (Can truth prevail?). A consequence is that public policies are misguided about at least two issues of significant social impact: HIV/AIDS (The Case against HIV), and human-caused global warming (A politically liberal global-warming skeptic?). 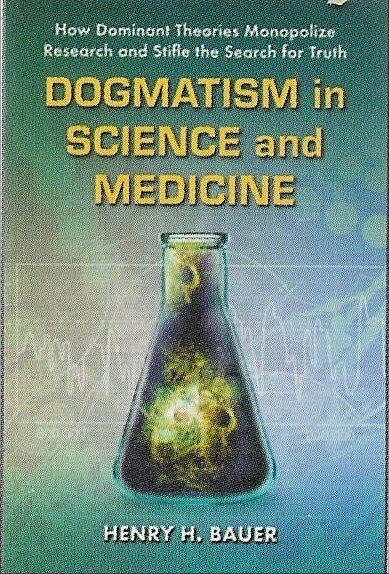 Science and medicine are characterized nowadays on quite a number of matters by dogmatic adherence to views that run counter to the undisputed evidence (Dogmatism in Science and Medicine: How Dominant Theories Monopolize Research and Stifle the Search for Truth, McFarland, 2012). To cite just one absurdity (on a matter that has no significant public impact): in cosmology, the prevailing Big-Bang theory of the universe requires that “dark matter” and “dark energy” make up most of the universe, the “dark” signifying that they have never been directly observed; and there are no credible suggestions for how they might be observed directly, and nothing is known about them except that their postulated influences are needed to make Big-Bang theory comport to the facts of the real world. Moreover, a less obviously flawed theory has been available for decades, the “steady-state” theory that envisages continual creation of new matter, observational evidence for which was collected and published by Halton Arp (Qasars, Redshifts and Controversies, Interstellar Media, 1987; Seeing Red: Redshifts, Cosmology and Academic Science, Apeiron, 1998). What’s wrong with present-day medicine. The common feature of all the flaws is the failure to respect the purported protocols of “the scientific method”, namely, to test hypotheses against reality and to keep testing theories against reality as new evidence comes in. Some political commentators have described our world as “post-truth”, and a variety of social commentators have held forth for decades about a “post-modern” world. But the circumstances are not so much “post-truth” or “post-modern” as pre-Enlightenment. So far as we know and guess, humans accepted as truth the dogmatic pronouncements of elders, shamans, priests, kings, emperors and the like until, perhaps half a millennium ago, the recourse to observable evidence began to supersede acceptance of top-down dogmatic authority. Luther set in motion the process of taking seriously what the Scriptures actually say instead of accepting interpretations from on high. The religious (Christian only) Reformation was followed by the European Enlightenment; the whittling away of political power from traditional rulers; the French Revolution; the Scientific Revolution. By and large, it became accepted, gradually, that truth is to be found by empirical means, that explanations should deal with the observed natural world, that beliefs should be tested against tangible reality. Science, in its post-17th-century manifestation as “modern science”, came to be equated with tested truth. Stunning advances in understanding confirmed science’s ability to learn accurately about the workings of nature. 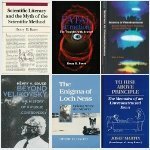 Phenomena of physics and of astronomy came to be understood; then chemistry; then sub-atomic structure, relativity, quantum mechanics, biochemistry … how could the power of science be disputed? So it has been shocking, not fully digested by any means, that “science” has become untrustworthy, as shown in the last few decades by, for instance, increasing episodes of dishonesty, fraud, unreproducible claims. The circumstances of scientific activity have changed, from about pre-WWII to nowadays, from a cottage industry of voluntarily cooperating, independent, largely disinterested ivory-tower intellectual entrepreneurs in which science was free to do its own thing, namely the unfettered seeking of truth about the natural world, to a bureaucratic corporate-industry-government behemoth in which science has been pervasively co-opted by outside interests and is not free to do its own thing because of the pervasive conflicts of interest. Influences and interests outside science now control the choices of research projects and the decisions of what to publish and what not to make public. What science is purported to say is determined by people; actions based on what science supposedly says are chosen by people; so nowadays it is political and social forces that determine beliefs about what science says. Thus politically left-leaning people and groups acknowledge no doubt that HIV causes AIDS and that human generation of carbon dioxide is the prime forcer of climate change; whereas politically right-leaning people and groups express doubts or refuse flatly to believe those things. For more detailed discussion of how the circumstances of science have changed, see “Three stages of modern science”; “The science bubble”; and chapter 1 in Science Is Not What You Think: How It Has Changed, Why We Can’t Trust It, How It Can Be Fixed (McFarland 2017). 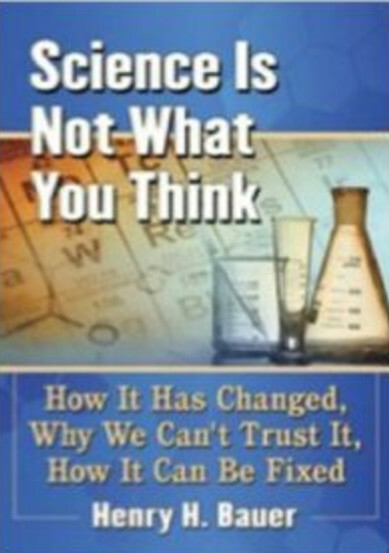 For how to make science a public good again, to make science truly reflect evidence rather than being determined by political or religious ideology, see chapter 12 in Science Is Not What You Think: How It Has Changed, Why We Can’t Trust It, How It Can Be Fixed (McFarland 2017). Making the list: a journal breaks a retraction record, Nobel laureates Do the Right Thing, and Seinfeld characters write a paper”, compiled by Retraction Watch. It should be widely read and digested for an understanding of the jungle of unreliable stuff nowadays put out under the rubric of “science”.